After weeks of leaks and official teasers, Oppo has just introduced three stunning new models of the Reno series in China. 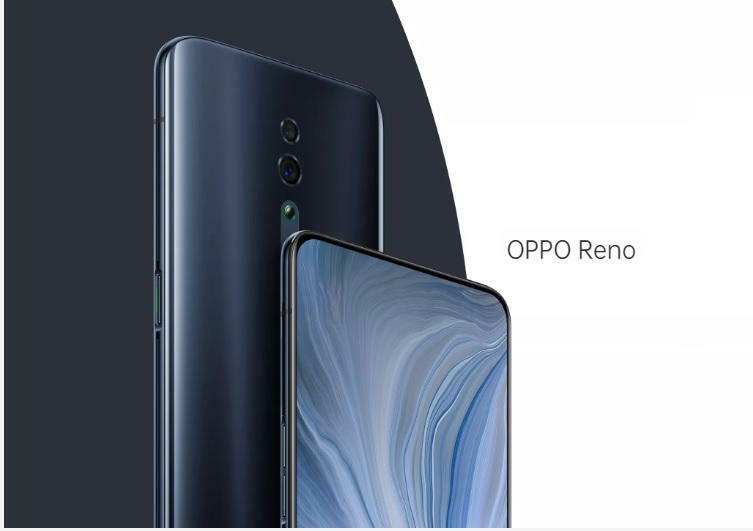 Oppo Reno smartphone Standard Edition, Oppo Reno Reno with 10x Zoom and a model with 5G support. One model is mid-range with Snapdragon 710 and two others are high-performance devices comes with Snapdragon 855. The highlight feature of the Oppo Reno smartphone is the fin-shaped pop-up front camera which we’ve not seen in any device until now. We’ve seen Vivo NEX, Vivo APEX, and Oppo F11 Pro with a pop-up selfie camera but they have a different style. The Oppo Reno (Standard Edition) comes with a 6.4-inch display with Full HD+ resolution and no notch. The phone has an Octa-core Snapdragon 710 processor and comes in variants with 6/8GB of RAM and 128/256 GB of internal storage. It has two rear cameras with Sony’s main sensor IMX586 of a 48MP and secondary sensor of 5MP for depth of field detection. The front camera has a 16MP sensor with LED flash and f/2.0 aperture. There is a 3,756 mAh battery with fast charge VOOC 3.0. Oppo Reno 10x Zoom Edition offers three camera sensors at the rear. The main sensor is 48MP (Sony IMX586), a secondary lens with 8MP ultra-wide lens and a third sensor visibly different with rectangular appearance instead of traditional round design. It features a 6.6-inch AMOLED screen with Full HD+ resolution (2340x1080p) and driven by an octa-core Qualcomm Snapdragon 855 processor. The handset will be available in 6/8GB of RAM and 128/256 GB of internal storage options. You get a 4,065 mAh battery. 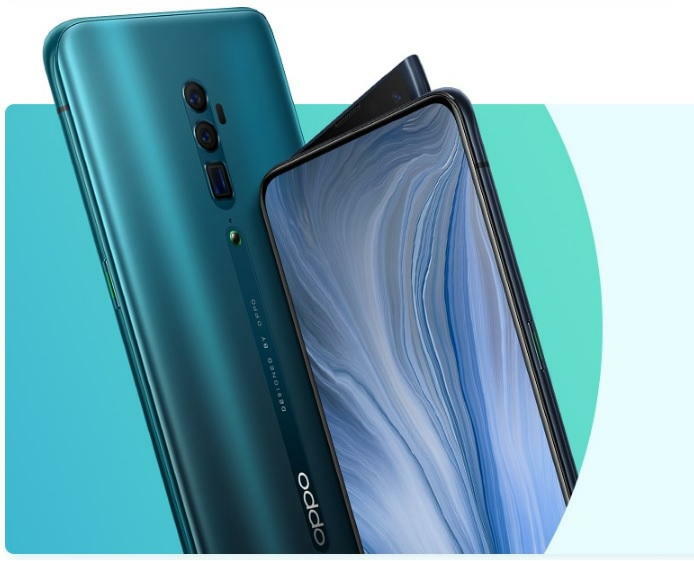 Oppo Reno 5G variant has a 6.6-inch AMOLED display with Full HD+ resolution (2340x1080p). It is also powered by the Qualcomm Snapdragon 855 SoC. However, this chipset is equipped with Snapdragon X50 modem to support 5G. It’ll be available in 8GB of RAM and 256Gb of internal storage option. The camera setup is the same as in the Oppo Reno 10x Zoom Edition but the battery bumps up to 5,000 mAh capacity. All three models run on Android 9.0 Pie out of the box.